Round one goes to Wiggins, but get used to this matchup as we’ll be seeing it for years in the NBA. Andrew Wiggins and Jabari Parker have taken turns being crowned the inevitable top pick in the 2014 NBA Draft, but now we’ll have a year of college basketball to settle the matter, though Kentucky’s super freshman Julius Randle may have something to say about it as well. Both Wiggins and Parker were magnificent last night. Parker dominated in the first half and finished 27 points. He’s an all-around great player who can do everything very well from rebounding to draining three-pointers. Then in the second half Wiggins and the Jayhawks took over as Wiggins showed off his incredible athleticism that has people comparing him to Jordan and Lebron. The highlight above gives just a glimpse of what he will be capable of. Wiggins ended up with 22 points. 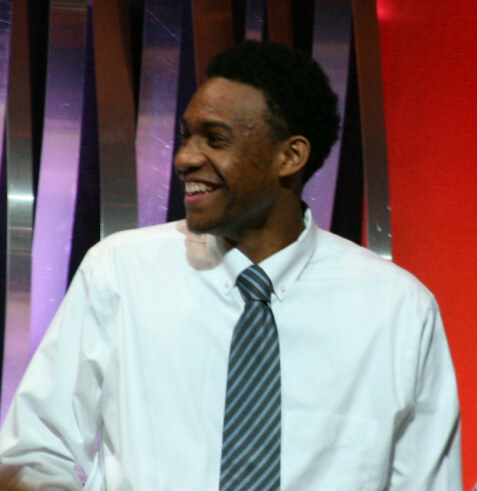 I had the opportunity to interview both Wiggins and Parker in the past as both of them won the Gatorade High School Player of the Year Award for basketball (Wiggins won the overall award as well). Both are great kids and have a bright future ahead of them. With these two and Julius Randle, it’s hard to imagine any team in the top three of next year’s NBA Draft being disappointed. In the meantime they can fight it out for the National Championship.